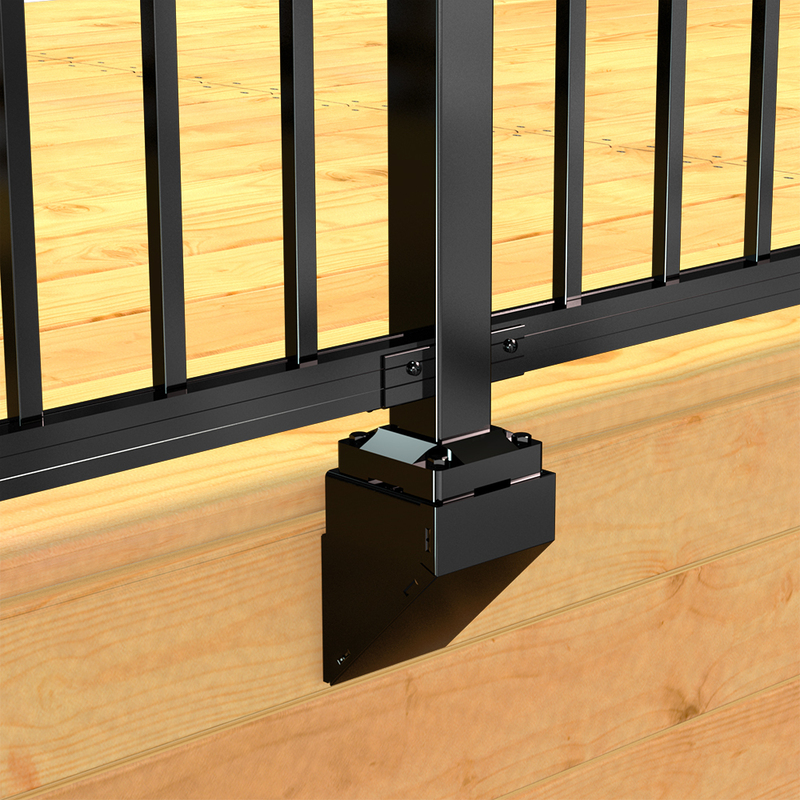 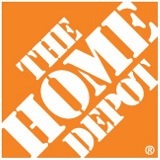 Connect hand and base rails securely to posts on stairs, or horizontal angles other than 90-degrees on the deck. 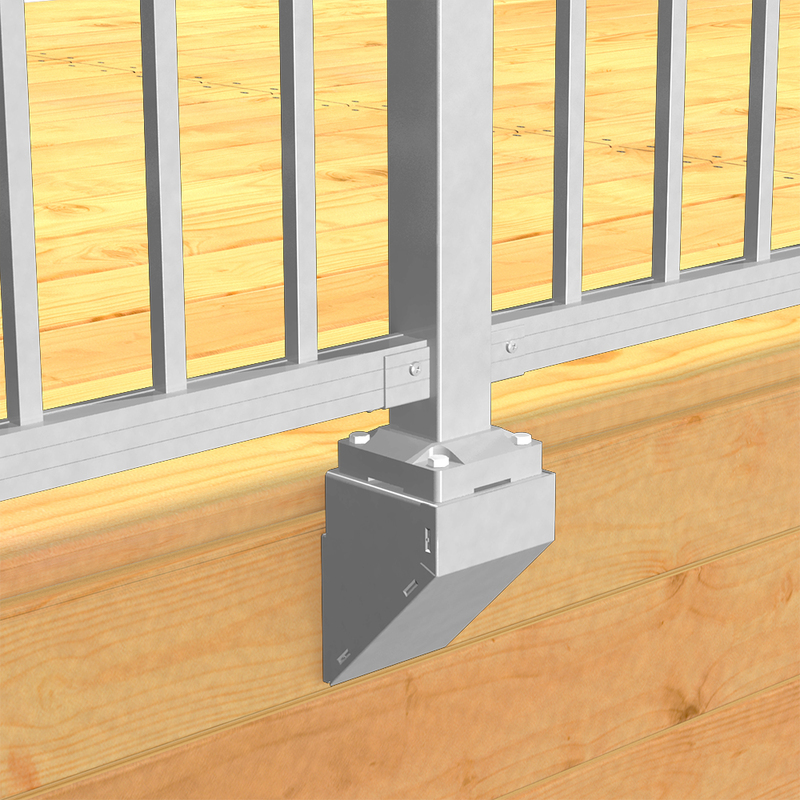 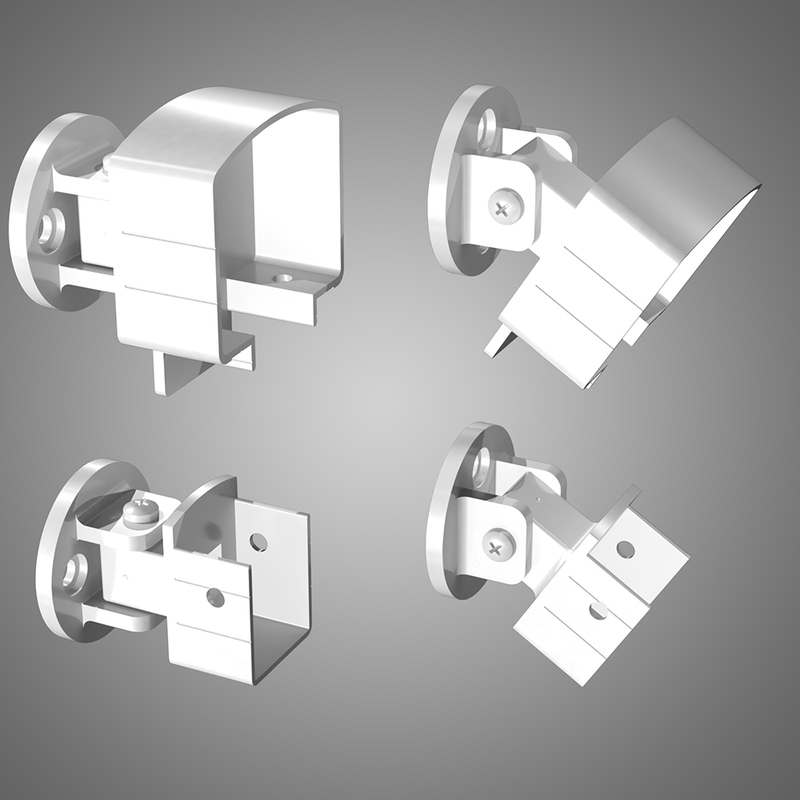 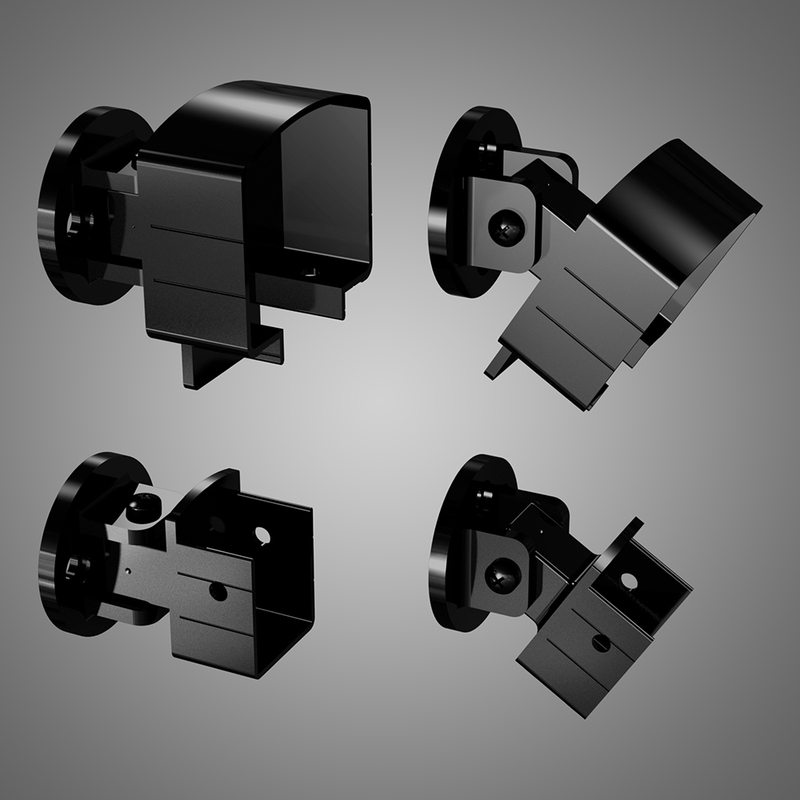 Each package includes one hand rail connector, one base rail connector, and all fasteners. 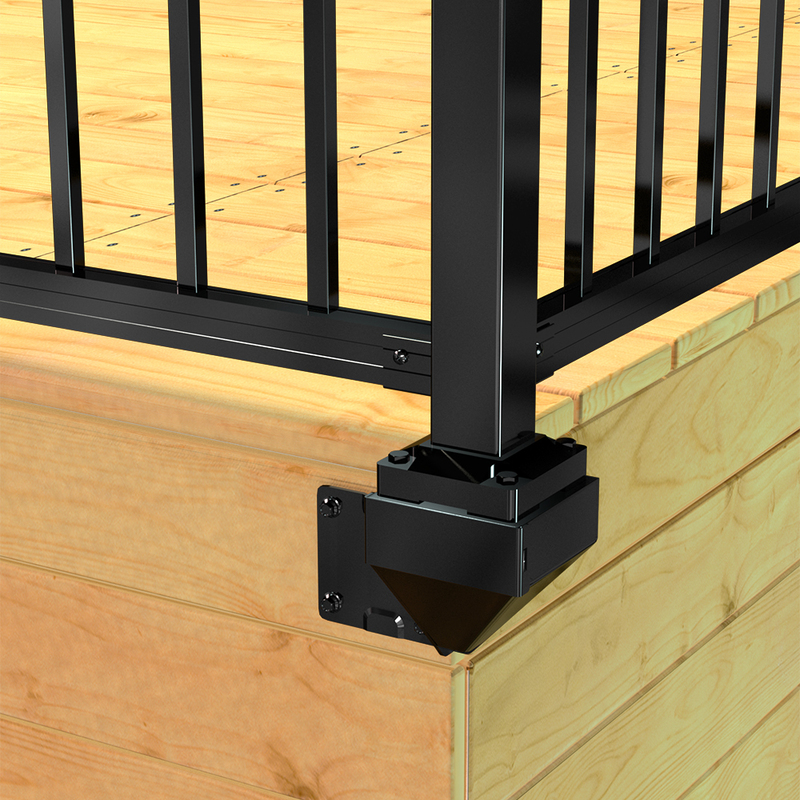 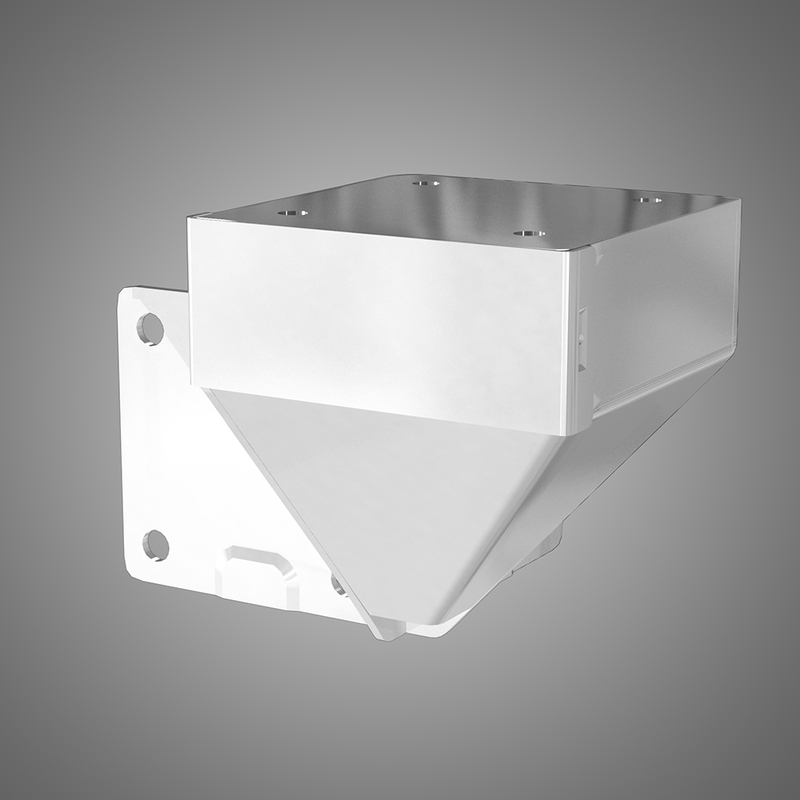 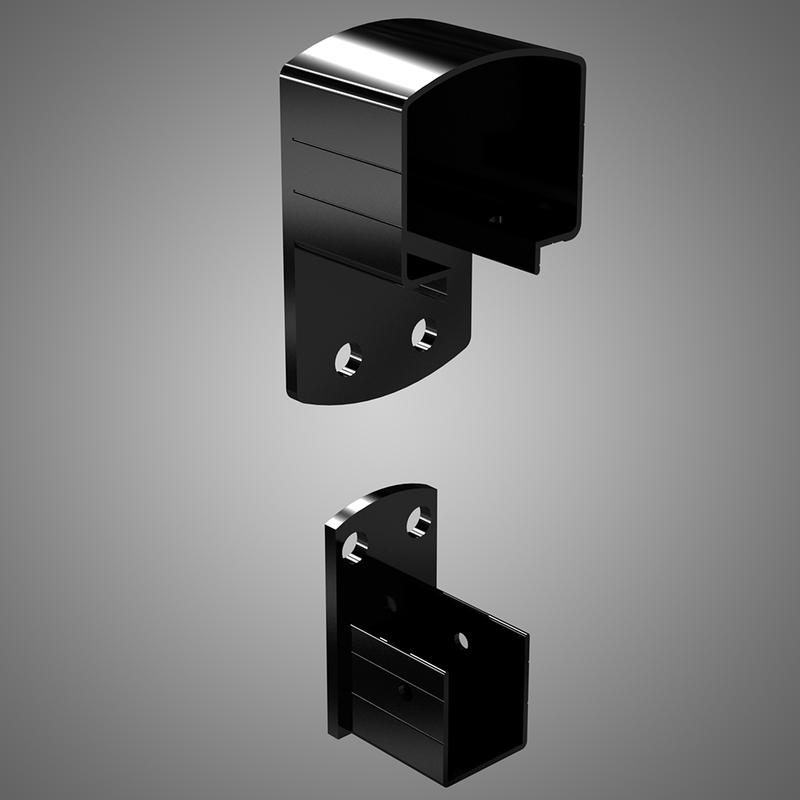 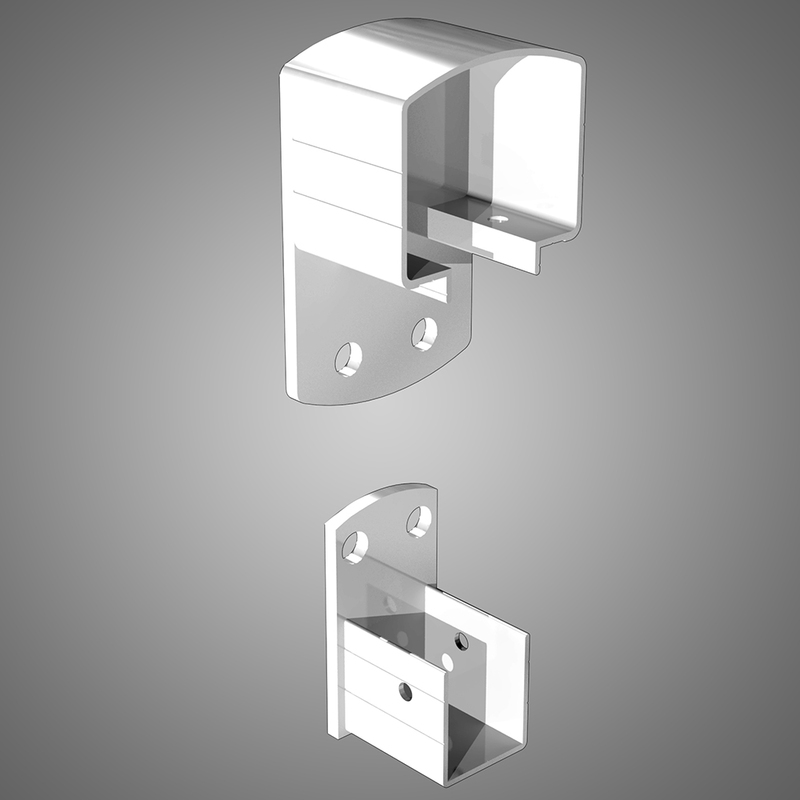 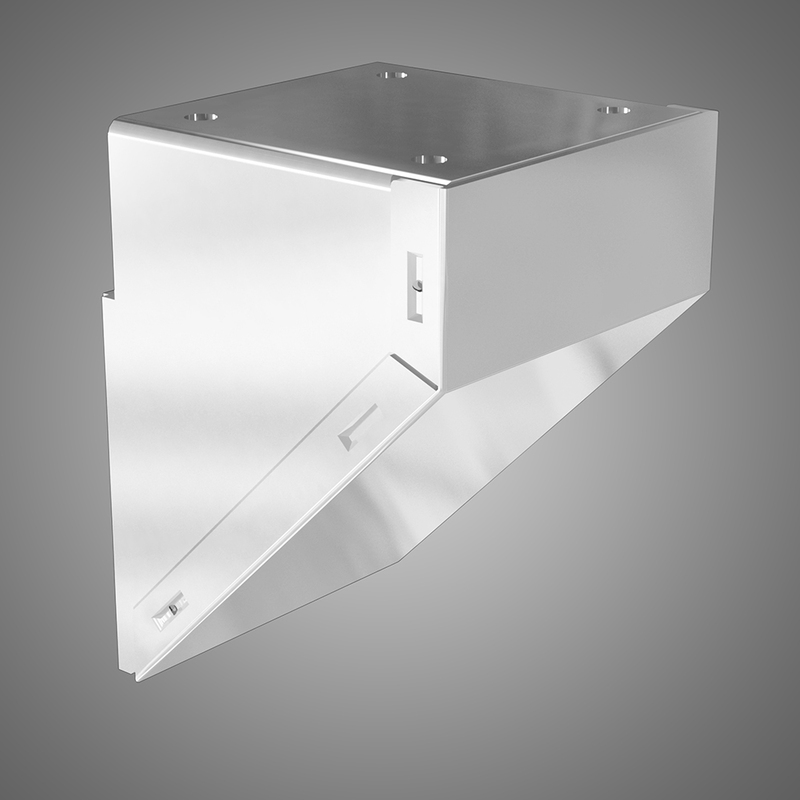 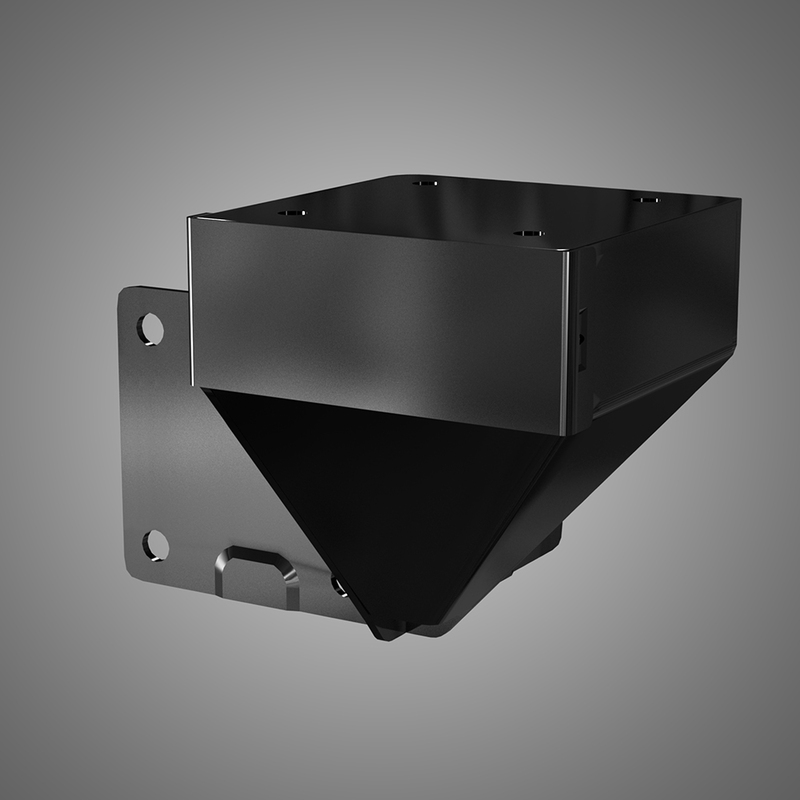 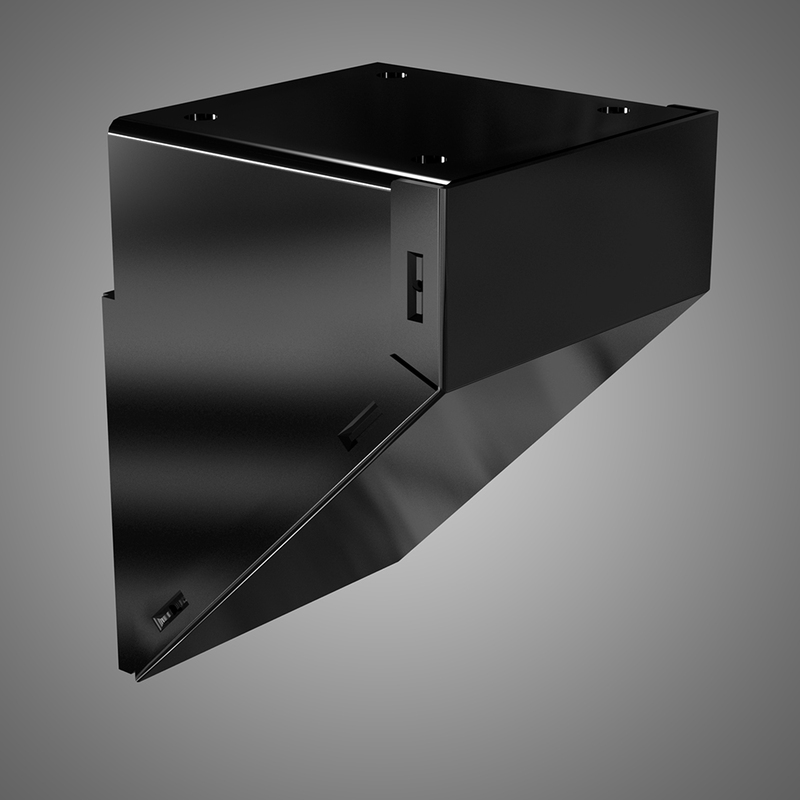 Anchor posts to the front fascia of your deck with the fascia mount brackets. 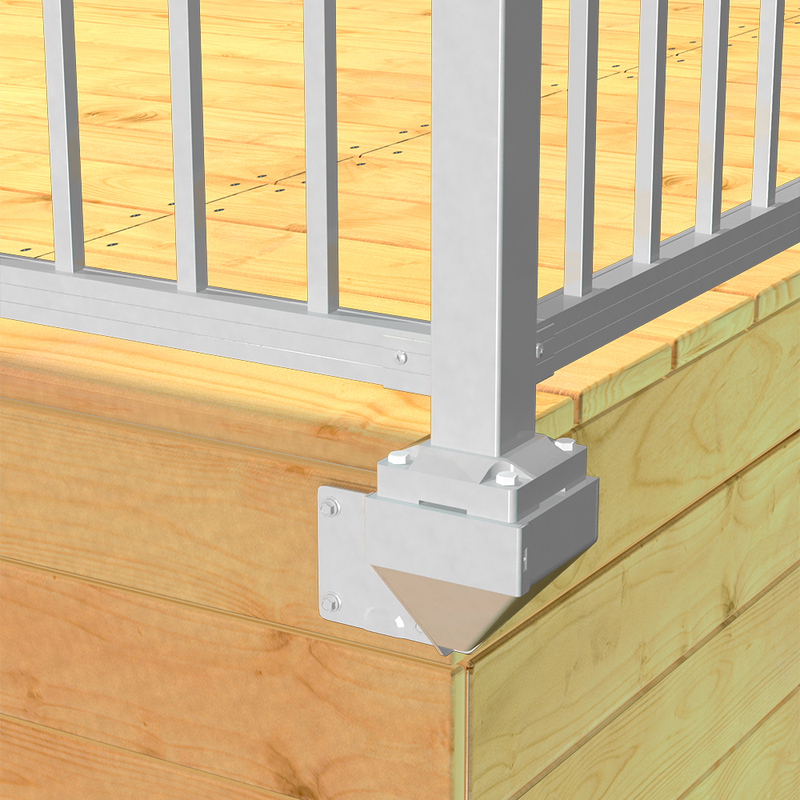 It's perfect if you do not want to puncture the surface of a new wood, vinyl or composite deck; or if you want to maximize your deck space.